Tomatoes are incredibly cheap right now; I’m talking 1,50-3,00 UAH/kilo — that’s 18-40 cents for 2.2 pounds! Oksana, Halya’s mom, gave me some tomatoes on Tuesday, I bought a few on Wednesday, and Iryna gave me more today. What to do with all these tomatoes (and cucumbers)? 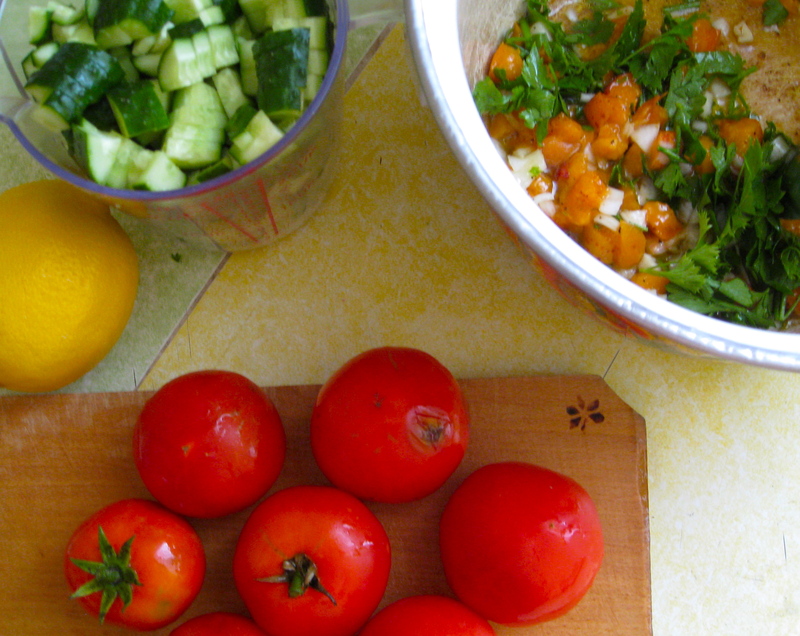 Make a salad-soup gazpacho, of course! I made this up on the spot and it turned out quite well, if I do say so myself. Chop and combine everything except the cheese. Let marinate in the refrigerator or at room temperature. Serve with crumbled fresh cheese on top. 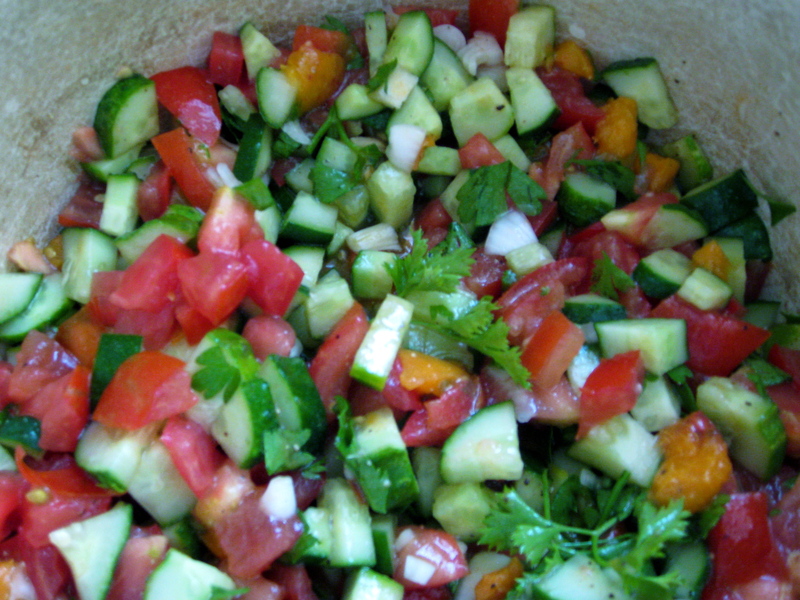 This entry was posted in community, food, health, pictures, recipes on 22.07.2011 by taplatt.